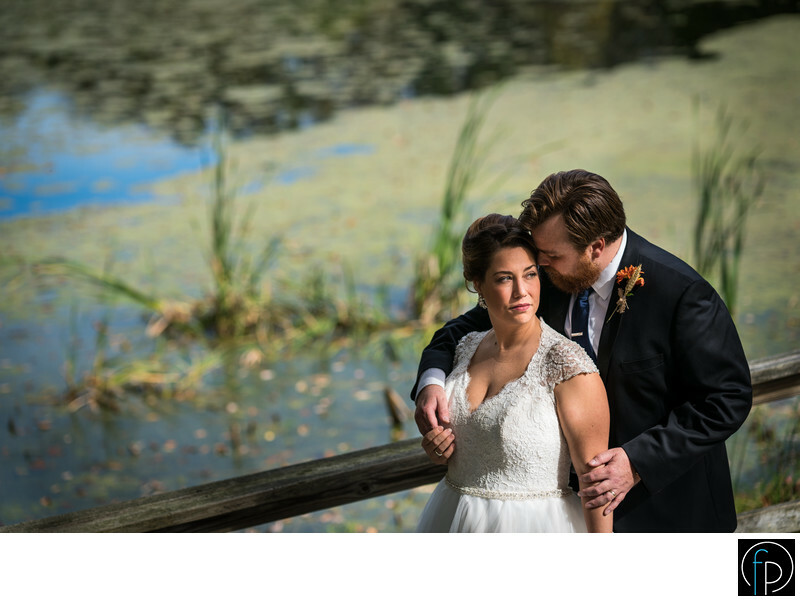 On their Chester County wedding day, our husband embraces his wife while posing in front of moss-covered lake at Springton Manor Farm. Picturesque Chester County, the Springton Manor Farm, which is listed on the National Register of Historic Places, has breathtaking views of rolling hills, and farmlands, creating charming atmosphere for your wedding just outside Philadelphia, Pennsylvania. Location: 860 Springton Manor Rd Glenmoore PA 19343.